Anovos, known for their extremely high-quality licensed costumes and props, is releasing a replica Death Trooper helmet based on the upcoming Rogue One film. 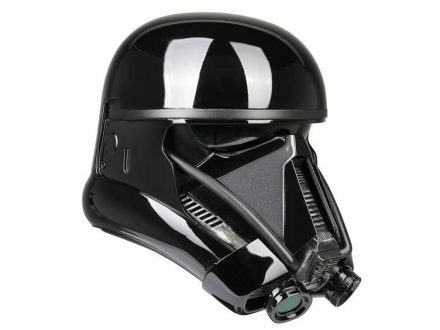 The helmet, digitally scanned from the actual movie props, is made of fiberglass, with a fully lined interior. This entry was posted on Monday, December 12th, 2016 at 23:57	and is filed under Cosplay, Movies. You can follow any responses to this entry through the RSS 2.0 feed. Both comments and pings are currently closed.